A year after British citizen Elizabeth (Beth) Hume went missing while kayaking on the Umngi river, tragedy struck another kayaker, identified as Will Hartman from the US, at the same site. 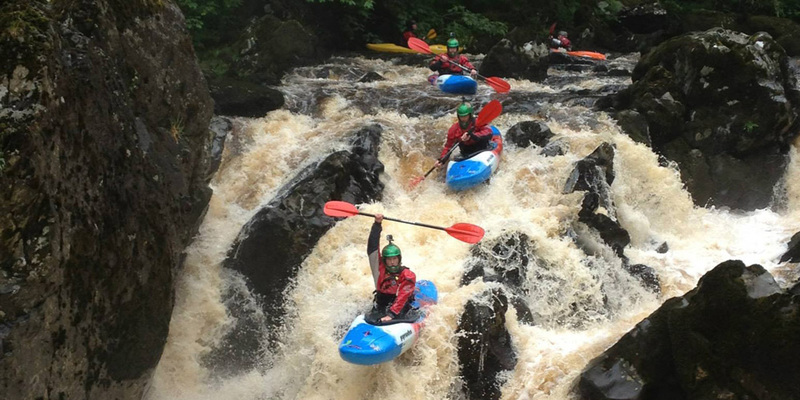 The incident happened on the morning of October 31 when seven highly skilled and experienced adventure sportspersons — Erik Johnson, Patrick Griffin, Sam Freihofer, Will Hartman, William Griffith and Olin Wimberg, all from the US, and UK’s Callum Strong — were kayaking the rapid on the Umngi in Mawsynram . Around 8.45am, Hartman got trapped underneath a tree submerged in the river, according to the statement of his teammates, all of whom were on a whitewater kayaking trip to Meghalaya. The tree prevented him from exiting the wedged kayak. The other six kayakers immediately got on a rescue mission and tried to extricate him from the entrapment, said the team members. After several attempts, the rescuers managed to pull him up onto the bank. Hartman was submerged in the rapid for approximately 15 minutes and had drowned. The rescuers attempted cardiopulmonary resuscitation for half an hour but with no result. The team then contacted local rescue services. Villagers and other international kayakers arranged a rescue party. The team successfully extricated all the kayakers and Hartman’s body from the river gorge on November 1. “We thank the villagers for their invaluable assistance in rescue efforts,” said the six kayakers on Tuesday. On November 5 last year, British kayaker Beth went missing while kayaking on Umngi. She got into trouble at the base of the waterfall, but unable to escape the towback, she exited her kayak and disappeared in the water. Her body could not be traced.